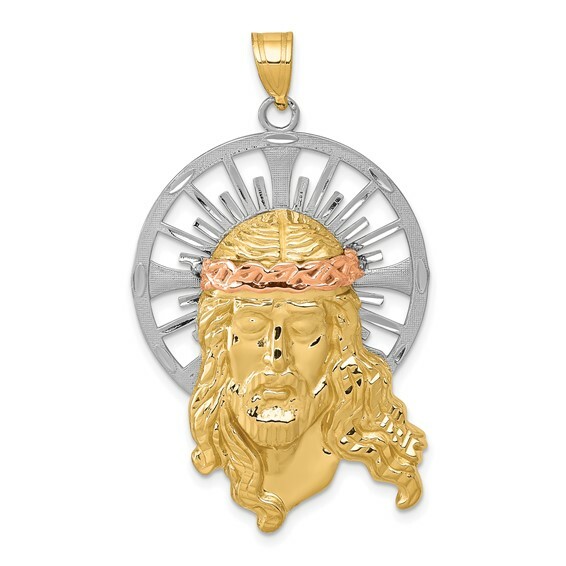 This large 14k tri-color gold Christ pendant has a polished and satin finish. Item measures 1 1/16 inches wide by 1 7/16 inches tall without loop and bail. Weight: 5.0 grams. Fits up to a 3.5mm wide chain. Made in USA.